Enter your phone number and we will call you back as soon as possible! Visit our Bike shelter website. RBce Outdoor offers a solution in the form of a outdoor Smoking shelter. This robust and modern construction, consisting of aluminium and glass, is available in various sizes. Ideal for your terrain or roof terrace. Every Smoking Shelter we deliver, will be ready for use. Delivery by lorry with crane. After assignment, delivery will take 30 working days, on average. The exact delivery date is determined in consultation. Smoking outside in your own smoking shelter? Choose from type 6, 9, 12 or 15. 20-50 people. 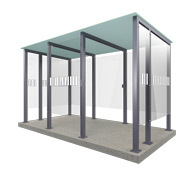 RBce Outdoor offers a solution in the form of an outdoor smoking shelter. 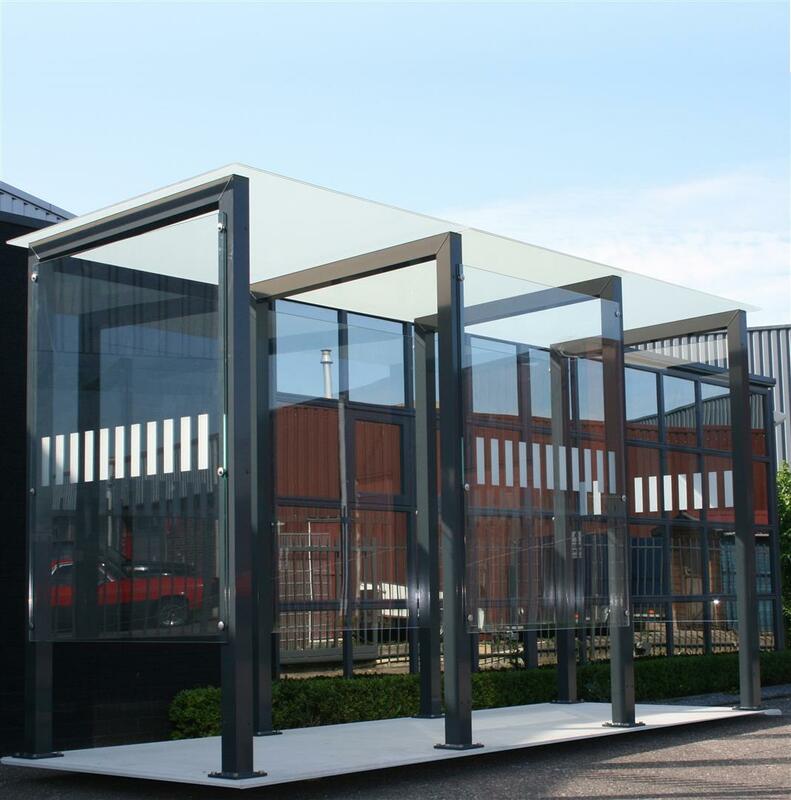 This robust and modern construction, consisting of aluminium and glass, is available in various sizes. Ideal for your terrain or roof terrace. 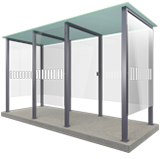 RBce Outdoor smoking shelters are a smart solution for your smoking employees. 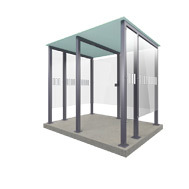 Every smoking shelter in our assortment comes standard with an ashtray and good natural ventilation. Do you want more information? Call us on tel. 0118 965 4030 or mail us at info@thesmokingshelter.co.uk.